Having trouble choosing which superhero to be? Why choose? 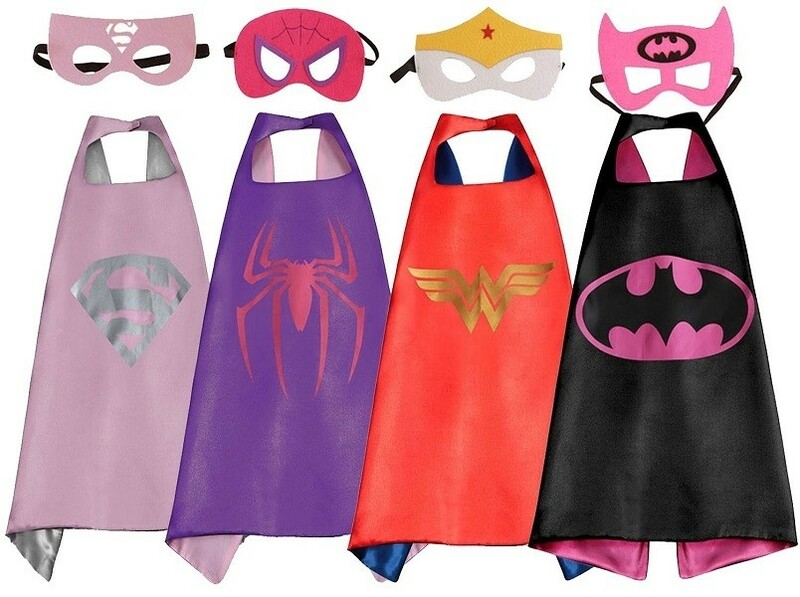 This set includes four capes and masks featuring the emblems of Spidergirl, Batgirl, Supergirl, and Wonder Woman. 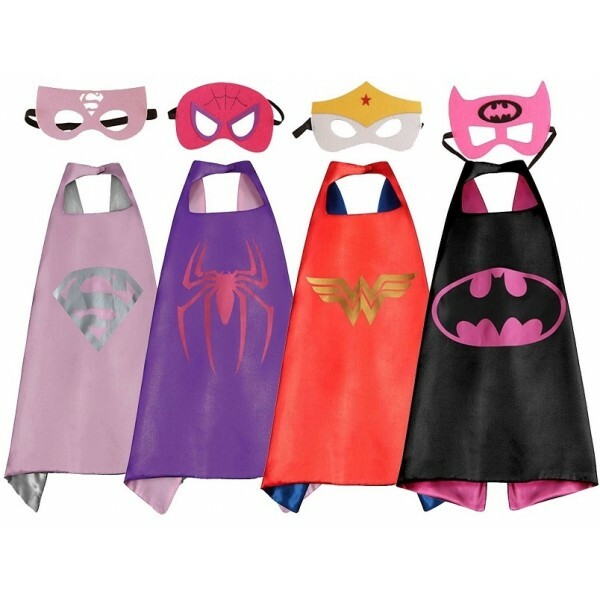 The capes are high quality double-sided satin with an easy Velcro neck fastener for younger children, and the felt masks are comfortable to wear. As an added bonus, when you purchase this set you will receive matching wristbands.